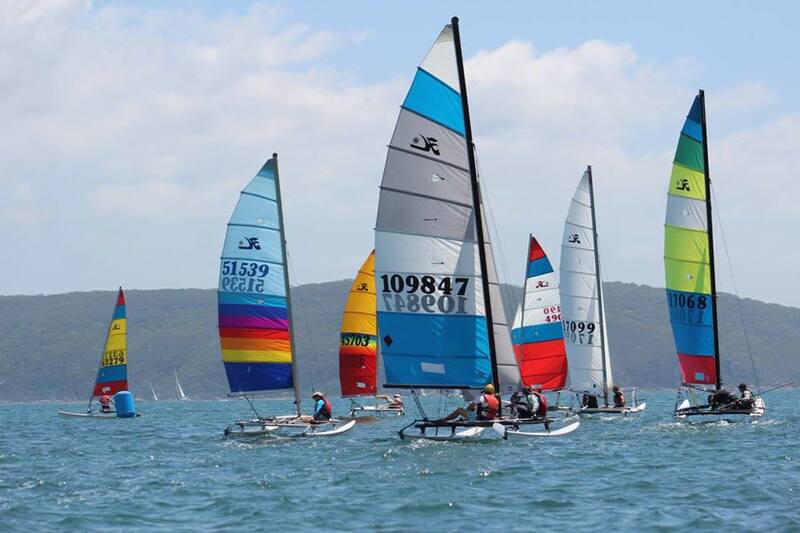 We are excited to announce the 2018 NSW Hobie State Championships (Hobie 16 Open, Masters, Grand Masters, Great Grand Master, Hobie 18, Tigers & WildCats) will be held 1st & 2nd December at Mannering Park Sailing Club – on the southern end of Lake Macquarie. Camping available next door at the Big 4 Caravan Park – be quick to book. The Sailing Club will be open from Mid-day on Friday 30th November… Dinner will be provided to all competitors on Saturday night 1st December and at a nominal cost for everyone else. NOR and online entry to follow. Any queries, please let us know!